Leading members of Congress suspect a portion of a recent $1.7 billion cash payment to Iran may have been used to help arm and support Yemeni terrorists who recently fired missiles on a U.S. Navy ship in the Red Sea, according to a new congressional inquiry that seeks to determine how U.S. taxpayer funds are being used by Iran to boost its global terror operation. Iran is believed to have used a large portion of the $1.7 billion, suspected to have been paid by the United States as part of a ransom to free U.S. hostages, to fund its global terror operation and strengthen its military, according to conversations with lawmakers who told the Washington Free Beacon that U.S. taxpayer funds are likely being used to sponsor attacks on American military forces. 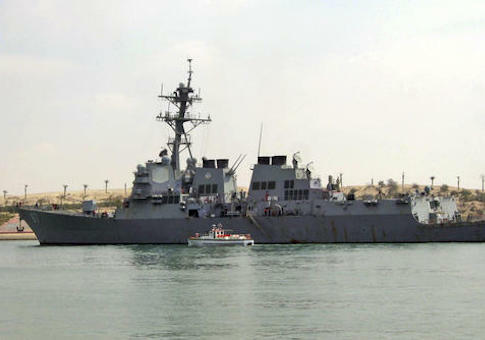 The weekend attack on the U.S. Navy by Iranian-backed Houthi rebels has sparked another official inquiry surrounding the cash payment to Iran, with a group of 17 senators now seeking to obtain an official assessment by the Pentagon of how Iran has allocated this cash to its military operations. Lawmakers, led by Sens. Kelly Ayotte (R., N.H.) and Ted Cruz (R., Texas), are petitioning the Pentagon to provide a full analysis of Iran’s military activity since last summer’s nuclear agreement went into effect. Senior Pentagon leaders have said in recent weeks that the Obama administration kept them in the dark about the cash payment to Iran. The U.S. defense establishment widely believes this money will help Iran foster instability across the Middle East. "Just this weekend, Iranian-backed Houthi rebels shot missiles at a U.S. Navy destroyer in the Red Sea," Cruz told the Free Beacon. "It is not a coincidence that Iranian aggression against America and our allies has doubled since the JCPOA went into effect—the $150 billion signing bonus is clearly going a long way." "This makes it all the more disturbing that the Obama administration saw no reason to consult respected senior Pentagon officials like the secretary of defense and the chairman of the Joint Chiefs of Staff before sending the mullahs yet another installment in the form of the $1.7 billion cash ransom last January," Cruz said. "Congress has an obligation to ensure President Obama’s willful blindness towards the very real threats we face does not further endanger the American people." The 17 senators sent a letter late Tuesday to Secretary of Defense Ash Carter and Joint Chiefs of Staff Chairman Joseph Dunford. The inquiry centers around evidence that Iran has significantly increased its military activity since the nuclear accord went into effect. "The plain purpose of transferring the payment in cash to Tehran was to circumvent the effects of U.S. and international financial sanctions," the lawmakers wrote, according to a copy of the letter obtained by the Free Beacon. "Iran is almost certainly using this windfall to skirt the arms embargo and illicitly purchase weapons for the Islamic Revolutionary Guard Corps (IRGC), the terrorist organization Hezbollah, and/or the murderous Assad regime in Syria." "We are deeply concerned that this large infusion of U.S. taxpayer-funded cash into the coffers of the world's leading state sponsor of terrorism is going to further embolden Iran and result in our troops and our allies confronting more lethal and better equipped adversaries and potential adversaries," the letter states. The senators expressed concern over Obama administration attempts to keep defense officials in the dark about its dealings with Iran. "While we understand that other agencies and departments would be in the lead for such a transaction, we are deeply concerned that President Obama and the rest of the administration did not think it was necessary to even notify the secretary of defense or the chairman of the Joint Chiefs of Staff that the United States was about to provide the world’s leading state sponsor of terrorism with $1.7 billion in cash," they wrote. "It seems clear that the Obama administration’s injection of substantial, liquid financial resources into Iran’s military budget also has significant and obvious implications for America’s national security interests and required military posture in the Middle East." The lawmakers request that Carter and Dunford provide an official assessment detailing Iran’s increased military behavior and financing of terrorism since the United States awarded it billions in economic relief. They specifically are seeking to determine if the United States has seen a "correlation between the increased financial resources now available to Iran and the increase in its belligerent activities," according to the letter. This entry was posted in National Security and tagged Iran, Kelly Ayotte, Ted Cruz. Bookmark the permalink.